Albert Herring, Op. 39. (Comic Opera in Three Acts). 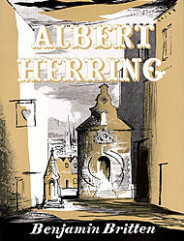 Home / Products / Albert Herring, Op. 39. (Comic Opera in Three Acts). 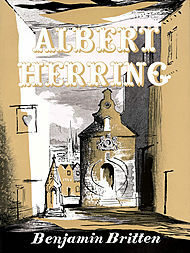 Albert Herring, Op. 39. (Comic Opera in Three Acts). By Benjamin Britten. For Orchestra, Voice (Vocal Score). BH Stage Works. 378 pages. Boosey & Hawkes #M060013867.